Is Jerry Seinfeld responsible for the Porsche 911 R? Maybe? 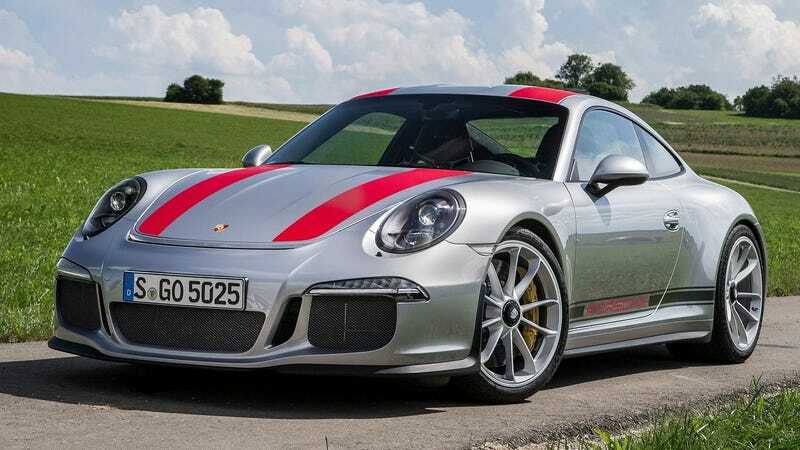 According to The Drive on an episode of Spike Feresten’s Spike Car Radio podcast, the comedian said that he went to Grant Larson, a Porsche designer, and some of the top brass at Porsche with an idea for a new 911 R.
I want[ed] a super lightweight, no-wing GT3. This is mostly in jest and Jerry Seinfeld doesn’t really think he has a lawsuit on his hands. But I wouldn’t mind seeing what other Porsche designs Seinfeld could come up with. That would mean Porsche would have to sever all ties with Vandelay Industries.